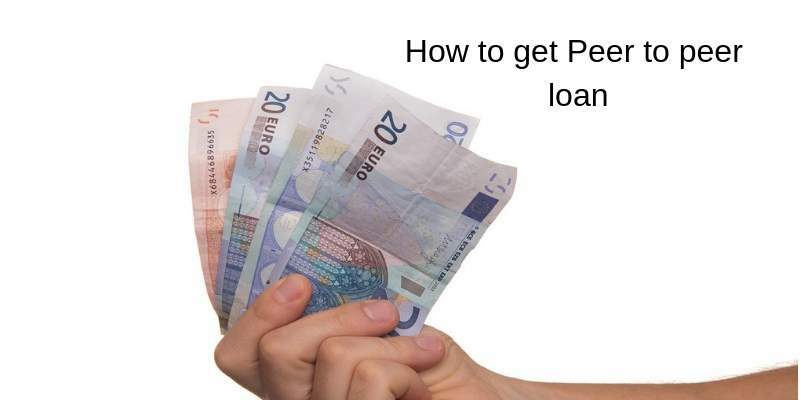 P2P loan or Person to person loans are on the famous types of common loans. This type of loans is an advanced form of loans and approved insanely compared to traditional loans. In this form of the loan, you are borrowing from an individual rather than from a bank or credit union. As this is a loan, so you have to pay interest but the rates are normally low than traditional loans. Moreover, you can check myinstantoffer for instant personal loans. The population of P2P has increased very rapidly in the past years and it has changed the lending world. Actually, it happens between two people which can also include your family and friends. Is it amazing that two people come together and set up loan and repayment methods? This form of loan is beneficial for both as the borrower is getting a loan without the hassle and the lender is making some profit. Well, we recommend the lender to sign an agreement with the borrower. Most of the times the lending is done online. A website handles the request of all the lenders and borrowers. It actually provides them a platform where they can connect with each other. They can share other required documents and payment processing online. In this way, you can borrow money from the people you do not know. You can search online for each companies website and can apply for an online loan. There are a great number of websites that are providing that have made P2P lending easy. Another question arises in the mind of people that why should they go for P2P lending what is different between P2P and other lending sources. The main reasons are two, first, the cost of P2P loan is very low and second the chances of approval. Actually, the problem with a traditional loan is that the banks and credit unions approved a personal loan application if he or she has a good credit score. They do not want to risk their money on people with bad credit. On the other hand, other lenders want to work with people who have the potential in the present. They do not bother with your past, they only focus on your present. But that does not mean that bad credit has no effect. If you have bad credit then the loan interest rates will be high. That is the case with both traditional and modern loans. In this situation, the borrowers with bad credit and low income have only a few options such as payday loans. Many P2P lenders these days are willing to give the loan to the people with minimum 520 credit score. On the other hand, the lenders are charging up to 36 percent of interest rate to the people with bad credit history. Most of the P2P loans are unsecured as you do not need to pledge your assets or collateral. The P2P loans are not very expensive and charge less interest compared to traditional loans. Applying for a loan is absolutely free if someone is demanding upfront payment for the application. Then stay away from such lenders as they are probably spamming you. Moreover, other fees are up to 5% of the total loan amount. The interest rates are very low than credit cards and can return the payment on monthly installments. The main reason is that the P2P lenders o not have high costs like banks or other big lending company. Well, the requirements for each lender can be different. There are people with no money and people with money that they want to lend. So, they always search for borrowers to make a profit from their money. Well, these kinds of people can open a savings account, but the profit is much higher with P2P lending. The main thing to see whether you are qualified for the loan or not. To evaluate you, the lender needs certain documents such as proof of income and bank account. If your income and credit score is high then you can easily qualify for bug loans. On the other hand, some of the lenders see your education and work history to check your abilities.